Biswa's Blog: Time to welcome a new SEHER! Time to welcome a new SEHER! At the end of a tiring day, there is nothing more peaceful than a sound sleep at the night. Sometimes, even after trying our level best, we can’t sleep properly. A lot of external factors are associated with sleeping disorders like irregular eating habits, inadequate exercise, smartphone addiction, caffeine intake etc. Amidst all these factors responsible for disrupting our priceless sleep, we often tend to forget the real culprit: The uncomfortable mattress. Yes, a mattress also plays a vital role in the intensity of our sleep. Just any ordinary mattress is not good enough. A poor quality mattress often leads to back pain. In today’s health and fitness conscious citizens, comfort is given more importance than money. Keeping all these factors in mind, Foam Home has launched a new variety of mattress under the name of SEHER. 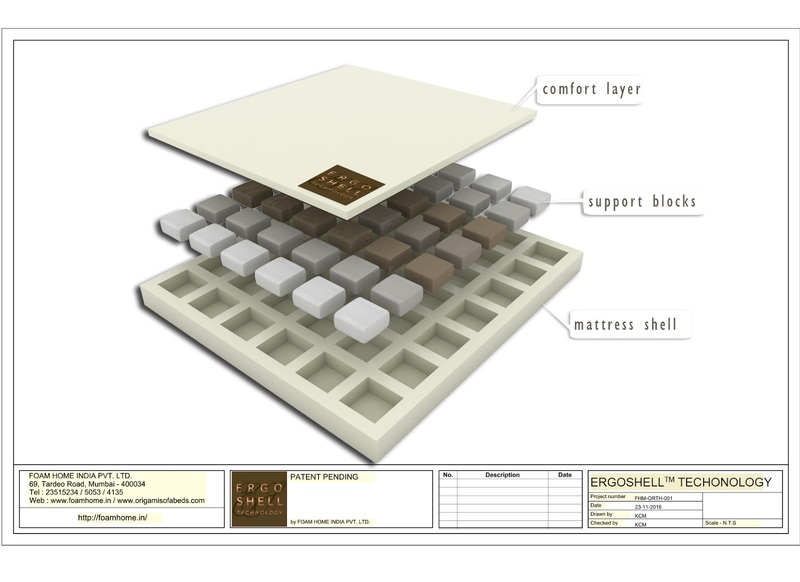 SEHER is an orthopedic mattress from the renowned luxurious and modern lifestyle stables of Foam Home. With the changing times, Foam Home also kept on evolving. It understood the needs of the customers and kept on innovating products that can provide the maximum value for money to all customers. After creating a huge base of gleeful and satisfied customers at Mumbai and India, Foam Home is all set to create ripples in the International markets as well. Literally, the meaning of SEHER is DAWN, a DAWN in the era of sleeping technology. SEHER is a range of unique and highly sophisticated orthopedic mattress that is attractive as well as innovative. Earlier, orthopedic mattresses were not that much attractive. They were dull, physically hard and instantly gave a feeling that those were meant for senior citizens and patients suffering from back problems. Well, thanks to the brilliant heads at Foam Home, that notion is going to change really soon. Orthopedic mattresses are all set to get a brand new identity with the launch of SEHER range of mattresses. So, how is SEHER different from other orthopedic mattresses? Why should you purchase it? How is it better than the other orthopedic mattresses which have already carved a niche in the market? First of all, SEHER range of mattresses is laced with ERGOSHELL technology: Patented by Foam Home. ERGOSHELL technology provides proper and adequate individual support to each and every area of your body. 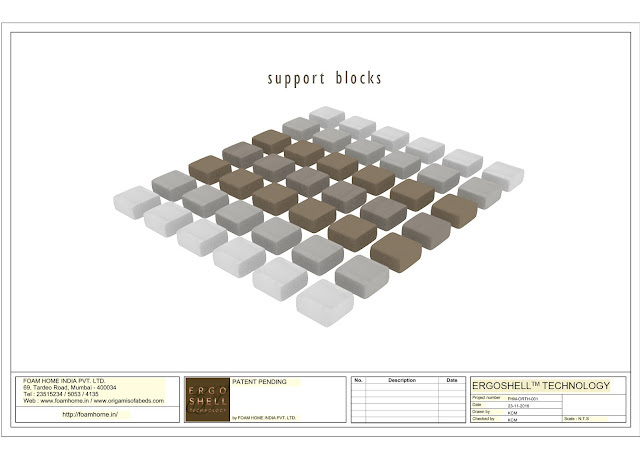 It has 42-block construction method. The mattresses are built upon a solid, super-dense shell which holds the support blocks together and makes it strong, supportive and comfortable. 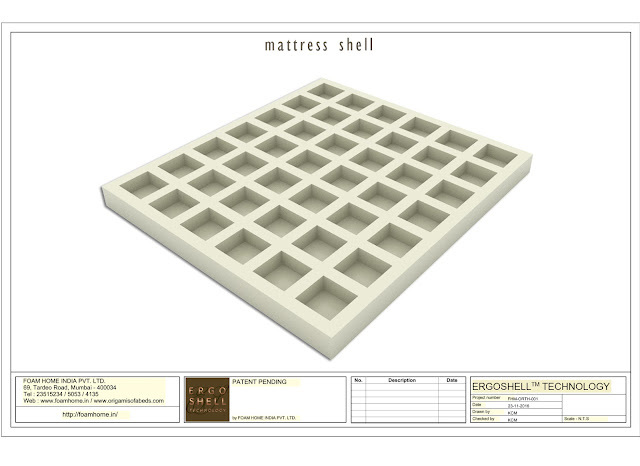 The mattresses are neither too soft nor too hard, just the perfect amalgamation between absolute softness and concrete hardness. 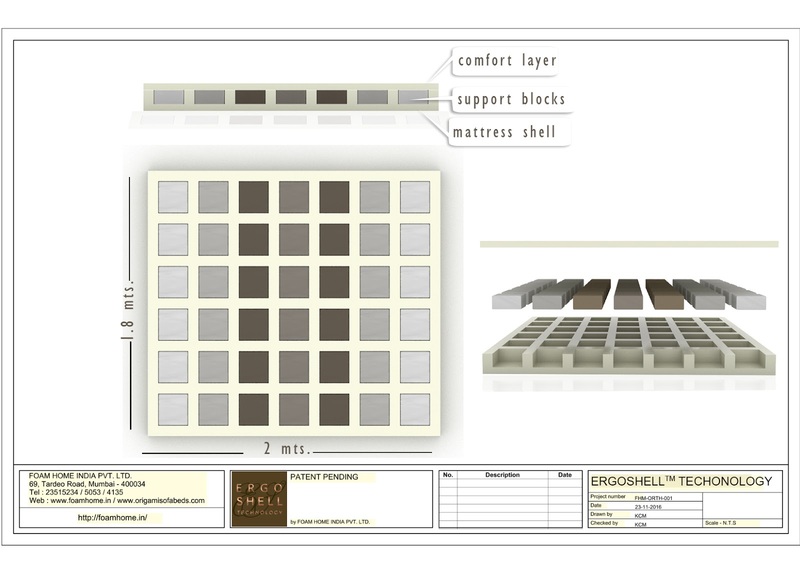 With the invention of ERGOSHELL technology, India is going to present a mattress technology to the world market, for the first time in the history of the Indian mattress industry! It also supports the ‘Make in India’ initiative. It is made especially for Indian people who always like to look for something that is traditional yet modern, comfortable yet stylish, affordable yet luxurious. Bid goodbye to all sleeping woes and back pain by embracing the comfort of SEHER. A comfortable dawn is waiting for you!